A painter and tapestry designer, Bernaert was the son of Valentin van Orley, with whom he probably trained. The first documentary reference to the artist relates to his marriage to Agnes Seghers in 1512. Three years later he was already established as an independent master in Brussels and that year received his first important commission: an altarpiece for the chapel of the Confraternity of the Holy Cross in the church of Saint Walburga in Veurne. Van Orley’s work for the church came to the attention of Margaret of Austria, governor of the Low Countries, who from that date onwards commissioned him to produce numerous portraits of members of the royal family. A document of 1516 records seven portraits of Charles I by the artist. The city of Brussels, considered at that date the principal centre for the manufacture of tapestries, began to be gradually eclipsed by Antwerp, which was emerging as the leading centre for painting. Van Orley took advantage of this situation and became one of the principal tapestry designers in Antwerp, registering as a master in the painters’ guild of that city in 1517. One year later he was appointed official court painter to Margaret of Austria, retaining this position under her successor Mary of Hungary. 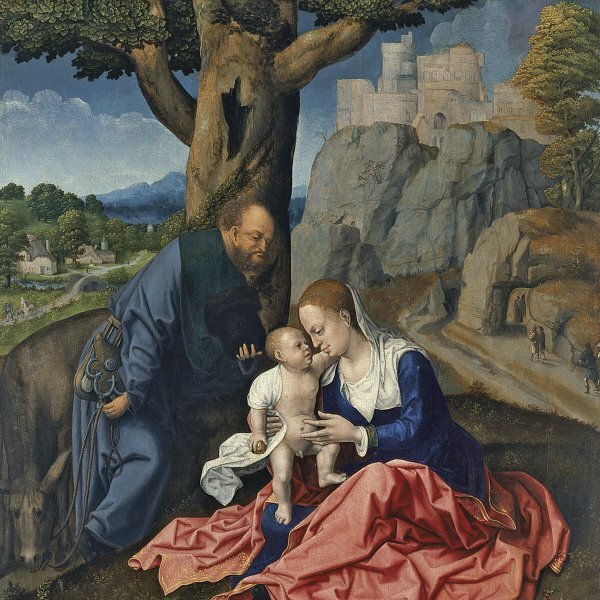 Together with Gossaert, Van Orley is considered one of the leading figures within the Italianate trend in Flemish painting of the early 16th century. His work was notably influenced by Raphael, whose style he may have absorbed through prints by Marcantonio Raimondi, and by Raphael’s own tapestry cartoons, given that no trip by Van Orley to Italy is recorded. He may also have derived inspiration from the figure of Dürer, whom he met in Brussels in 1520. In the last years of his career from 1525 onwards Van Orley focused most of his activities on designing tapestries and stained glass.